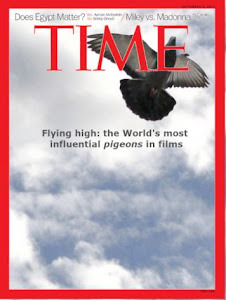 In the second edition of the Special Issue our team travels to London, where a group of researchers is developing a new practical use of pigeons for detecting drug dealers. We arrive in Brixton where Liza and Andy are waiting for us. Liza is a biologist specialised in birding. Andy is a programmer. My first question is direct. Do you like pigeons? Both of them show a broad grin on their faces. Well, Liza says, I really love them, but my partner doesn't have the same opinion. Andy says very seriously: It is time that pigeons give back to society all that society has given to them. What? I exclaim. We feed them, and we allow them to live with us.... now it is time to take advantage of them. While I’m listening to him, I notice he is full of hatred for pigeons. Ok. I say. So, what’s the idea? Liza explains us the whole plan: our project consists of two phases. Pigeons are well known for having an excellent smell sense. They even use it for navigation. In the first phase we breed a specific breed of black and white pigeons. During this phase pigeons are conditioned, and are fed only by people that smell of drugs. What kind of drugs? I ask. Currently we are only testing soft drugs. So, you create drug addict pigeons! I exclaim. No, no!, that’s not the idea. Pigeons only receive high quality bird food. They are healthy and clean. It is the feeder who has this specific smell, so the pigeons associate it with food. In the end, when they notice an individual that smells of drugs, they approach him expecting food. Ophiuchus 3 feels relaxed after his conditioning. Andrew, the pigeon feeder, did a demonstration. We went to a square full of pigeons and we distributed some food. 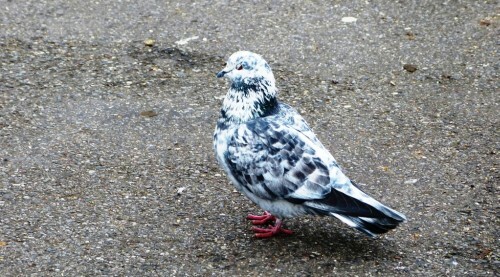 Andrew stood motionless and we observed that only the trained pigeons (white and black specimens) stayed by him. We name the pigeons by the breed followed by a number. All the members of the same breed are brother and sisters. For instance, now we can see Regulus 1, 2, 4 and 5. They smell the drugs on Andrew and they stay close to him. Where is Regulus 3? I ask. It died in an accident a couple of days ago Liza sadly says. Andrew stands up while Regulus 1, 2, 4 and 5 approach to him. There is a moment of silence and Andy resumes the explanation. At this point the second phase starts. 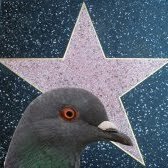 I have developed an application that is able to distinguish pigeons with black and white colors. We use an image segmentation algorithm for detecting the specific pigeon patterns of these animals. Then we are able to track multiple pigeons. This algorithm can process this information for each one in real-time. Once it detects a cluster of black and white pigeons, the algorithm issues a warning. It scans the area covered by the selected pigeons and automatically detects the individuals inside of it. These are the potential drug dealers and the local authorities can be automatically warned. Police can send an inspector to interrogate the suspect. 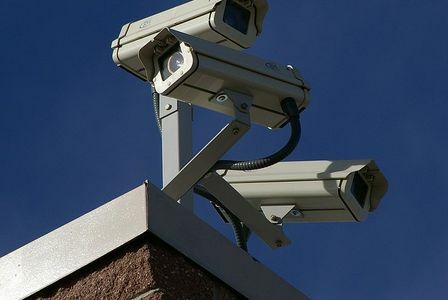 London is completely covered by cameras so we can track the whole city with a minimum cost. Liza shows us how the software detects the pigeons and the potential drug dealer. Liza interrupts Andy. 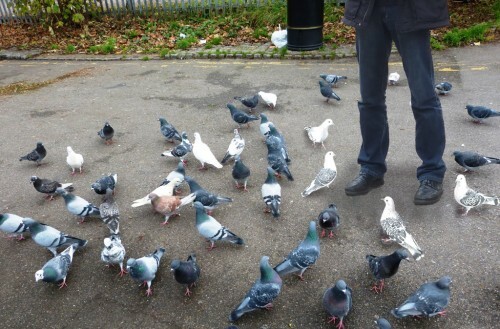 The general idea is to free these pigeons in parks and they will smell drug dealers. Then, they will approach them (expecting food) and then, the cameras will track these individuals. Yes! Both of them say at once. Clean and clever. Is this plan currently operative? I ask. Not yet. We are currently finishing the experiments and we have plans to make a proposal to the police department. Then, they will decide to use it or not. We hope that they will accept and pigeons could eventually serve and protect us. The next pigeon should be named Chuck Norris, I suggest to them. A London Ranger, Liza replies laughing.